With all this hot weather we have been having, we thought that here at Nanaimo Yacht Charters we would take a look at the best of the many beaches this beautiful island of ours has to offer. 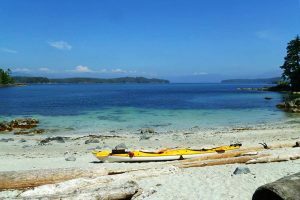 From Nanaimo beaches to Tofino beaches, let this article be your guide to beach days on Vancouver Island this summer. Firstly, Parksville Beach which sits on the eastern edge of the island. A 35 minute drive from Nanaimo, or a leisurely sail, this beach is the location of the renowned annual sandcastle competition. This tells you what sort of beach to expect here. 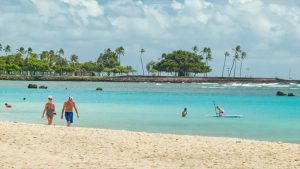 The beach is long, and flat, and is up to a kilometre at its widest point, thus making it the perfect beach for fun in the sun with little ones. Next up, Dolphin Beach. This is probably one of the most well known in the area, and is situated near to Nanoose Bay. This beach is great for those who love to get into the water, and is a particular favourite with scuba divers who come from all over the world to experience the lush waters and all the stunning marine life that inhabit them. The beach itself is very rocky, but the shallows are sandy in parts before the sea floor drops to below 100 feet. There is little current here which is one of the reasons divers love it, but there is also a great array of fish such as the copper rockfish and the quillback, as well as sponges. Qualicum beach is the oldest holiday destination on the British Columbia coastline. It’s a beach that is perfect for families. Known locally as the garden village, on this beach you get a great blend of traditional sandy beach, and stunning local greenery. There is a gorgeous little town surrounding the beach, which means this is a great one for boaters and beach goers alike. There is a plethora of restaurants and little shops to explore, and so Qualicum is a great family day out for those yachting with us here at Nanaimo. For shallow waters and palm trees, head to Tribune Bay. Paradisiacal in nature, Tribune Bay on Hornby Island is the ultimate relaxation beach. The water is the warmest in the area, and calm as it is sheltered from the grand Pacific. You feel as though you are somewhere like Florida when visiting this beach, making it a perfect little escape for couples holidaying with us. This beach is locally known as ‘little Hawaii’ and it is easy to sea why, with the beautiful azure seas, and pure white sands. The gorgeous wildflowers hug the hillside too, which really gives that tropical holiday feeling. For the more adventurous among you, head to Bates Beach in Courtenay. This rocky beach is fantastic for fishing, and other on-land sea creature investigation. There are many tidal pools, and sand bars, making it a fab place for the kids to explore. This beach is Vancouver Island’s natural ruggedness at its best. 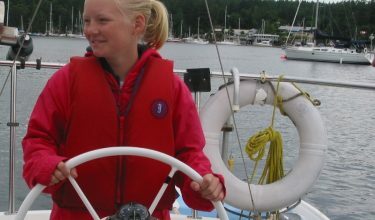 Here too, you can find many activities to take part in such as boating, camping, and spas for the parents. Sandy Island is the greenest of them all. Locally known as Tree Island, Sandy Island is great for nature lovers with ample opportunity for bird watching and appreciating the local wildlife. The area is known for its fragile and beautiful ecosystem composed of various species of flora and fauna as well as the animals. The birds are the particular draw though and it is a great spot for budding ornithologists. At the north-west tip of the island is San Josef Bay. It is the most striking of all the beaches as it looks as though it has been carved out of the land by hand. It is at the base of the St Jospeh River which makes it particularly special as the ocean is cradled by the bay. One side of the peninsula you have calm waters for bathing, and on the other side there is some great surf to be had if that is your kind of thing. Last but not least we have Tofino. Here there are a number of fantastic sandy beaches for you to sink your feet into. Chesterman is one of the longest beaches in the area, and with that boasts great diversity with rocky crevices, sandy stretches, and even a lighthouse. Florencia bay is a fantastic walking trail, and beneath the waves lay a number of wrecks which are fun to explore with your scuba gear. So, for sunbathing and sand play, head to Parksville. For scuba diving, head on over to Dolphin. For a family day out, head to Qualicum. For relaxation and romance, head to Tribune Bay. For adventure and fishing, head to Bates. For bird watching and nature, head to Sandy Island. For stunning scenery and surf, head to San Josef. For a nice walk and diversity, head to Tofino. We really do have it all here on Vancouver Island.